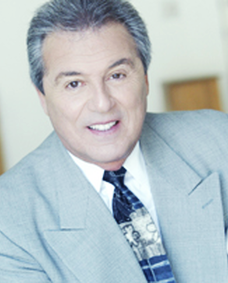 DR. RAY BLANCHARD, a leading trainer designer, corporate consultant and founder of BLANCHARD CONSULTING GROUP, LLC, has delivered his Visionary Leadership and Communication training and consulting to more than 100,000 people with lasting impact for success in Japan, New Zealand, Russia, Malaysia, Puerto Rica, Argentina, Canada, and the United States of America. While living in Japan, training and consulting in the public sector and for senior executives of multi-national companies based in Tokyo, Dr. Blanchard developed the basis for his group of integrated workshops. The VISTAR Integrated Programs International series for the general public, which inspires personal success and leadership by illuminating distinct principles of accomplishment and establishing a powerful language of results, was developed with colleague Bettie Spruill. 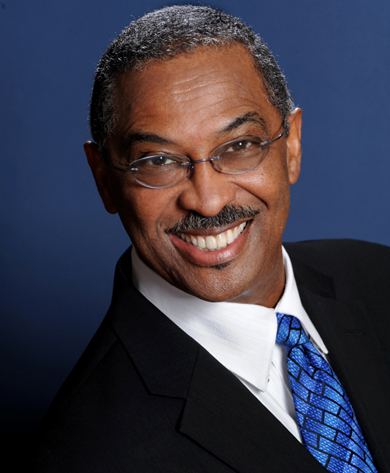 A master trainer/facilitator, Ray brings both a personal and worldly perspective to a diversity of people challenged by change on the global playing field. From his collaborations with IAS Australasia, Ltd., Dr. Blanchard produced the Blanchard Consulting Group, LLC family of corporate trainings. Progressive organizations find the entrepreneurial spirit contained in his work invaluable in moving a corporation and increasing collective morale. It renews vision and operating philosophy, re-aligns a composite group with a common language of action, and brings forth new measures of success. Dr. Blanchard’s vision-driven work has assisted numerous leaders in Fletcher-Challenge Ltd., ASB Bank Ltd., TOMMY BAHAMA, 3M New Zealand Ltd., AT&T, Pepsi-Cola International, Phillips Morris, Sime Darby Berhad, Griggs-Anderson Research, Universiti Pertanian Malaysia Faculty of Economics and Management, and other major companies in leading their individuals and organizations to new levels of accomplishment and prosperity. He was a Danforth Fellow, and he was selected as an Outstanding College Athlete of America. As a successful leadership coach and human development trainer, he was chosen as an Outstanding Young Man of America. He was Senior Board Advisor to Vistar Youth Horizons, Inc., a charitable organization dedicated to the enhancement of youth at risk. He is a member of the American Counseling Association. Ray’s education was focused in Business Administration, East-West Philosophy, and Counseling Psychology. He brings a colorful, yet exemplary blend of cultural and personal perspectives to his work as a result of a wide range of experiences and accomplishments, committed family ties and a strong personal resolve. He integrates communication and language distinctions, behavior theories, role-playing theatre, and group and organizational dynamics in his practice. He climbed Mt. Fuji; and he enjoys Zen and the game of golf. Now residing in Portland, Oregon (USA), Ray continues to seek new ways to reveal the champion and commitments in the heart of each of us and the organizations we serve. Bettie J. Spruill, PCC is a world renowned executive coach, management consultant, entrepreneur, and trainer with over 40 years experience in the field of transformational leadership. She is also a certified Master NLP practitioner and a recognized thought leader in Ontological, Mindful, and Ecological Living. In 1981, Bettie attended her first ontological coaching course with Dr. Fernando Flores. This was a catalyst for her deep dive into language and effective communication- the kind of communication that masterfully creates a powerful and honorable reality with others, including all life on the planet. Bettie’s coaching certification program, Ideal Coaching Global, is both innovative and inspiring. She deals with harmonizing the body, mind, and spirit in courses offered across the United States and Mexico. Her school, co-owned with Amadi Solutions and Ana Escalante, is certified by the International Coaching Federation. ICF exists to lead the global advancement of the coaching profession. 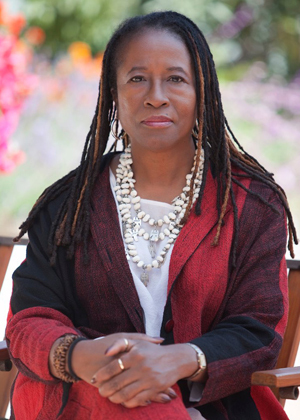 Bettie also co-founded Trainer Designs Global, LLC, a training and development company committed to the successful expansion of transformation trainers and speakers. For the past 15 years, TDG has trained trainers who now facilitate workshops, seminars, and trainings for thousands of people worldwide. Recognized for her innovative problem solving and deep insight into the human condition, Bettie has designed and facilitated transformational workshops in the domains of leadership, mastery, and effectiveness for people in Russia, Malaysia, Puerto Rico, Argentina, Chili, Mexico, England, Hong Kong, Canada, Ghana and the United States of America. In April of 2000, Bettie adopted Begoro, a village in Ghana, Africa. Since then, she has along with others, have raised thousands of dollars to bring coaching and training to the people of that community to develop vision, leadership, strategies, and practices of sustainability for the individual and the community. Bettie was awarded the Positively Powerful Woman Award in 2012 for her transformational education internationally. Her clients include Northwest Airlines, United Airlines, the Harlem Globetrotters, Honeywell, the Breakthrough Foundation, Petronas Oil, TXU, Gratitude Trainings, Momentum Education, Spectrum Life Design, Infonavit, Tommy Bahamas and more. I was born in 1935 the oldest of twelve (12) children on a farm in North Dakota. While I was in College I met my husband and married in 1957. We moved to Chicago and started a family. After adopting my youngest son, at that time my oldest son was four years old, I started camps for young Children at the Park Ridge YMCA, Illinois. I discovered I was effective with children of all ages and had a powerful relationship with parents. I thank my parents for living in an environment of love, integrity and work ethics which they bestowed upon me. In 1968 I moved to California. Everything seemed to be magically designed and arranged that led me to transformational work as a Leader for fifty (50) years worldwide. I worked with teenagers, businesses and general public empowering hundreds of thousands of people in being effective in areas of their life that were important to them. Since I led courses for various transformational organization for fifty years, I now was leading to grandchildren whose grandparents were teenagers when I led their course originally. It is a stunning experience to be able to support generations of family. My life is fulfilling with a heart full of gratitude for the opportunity that leaves me speechless and honored to be a contribution in making a difference. Award-winning trainer/speaker and author of the inspirational book The Art of Balance, is the founder of Authentic Technologies, a nationwide human resource development and training firm dedicated to accelerating the growth and productivity of individuals and organizations. Raphael holds a Bachelor of Science in Psychology and is a Certified Human Potential Trainer and a Certified Clinical Hypnotherapist. 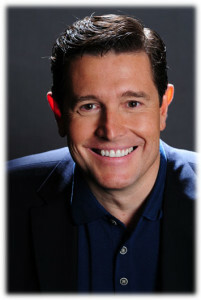 His interest in the human condition and his continuous desire for personal growth led him to pioneer a unique transformational model of human behavior and motivation: The Core Balance Model©. By combining this systematic approach with sound clinical judgment, sensitivity, and a sense of living authentically, Raphael teaches people how to free themselves from the traps of their protective selves, connect with their true nature, and turn their potential into reality. 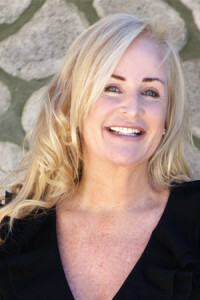 Wendy Amara is Certified Transformational Life Coach, specializing in empowering woman and men to live their best life! She has coached thousands of men and woman into achieving their personal life goals, finding their life purpose, managing challenges such as ADHD and creating extraordinary results! She has worked for numerous Transformational Companies including Peak Potentials and M.I.T.T. One of her passions is supporting woman in finding love and teaching them how to keep their relationships thriving and strong. Wendy believes that Life is Full of Possibilities; you just have to go after what you want! 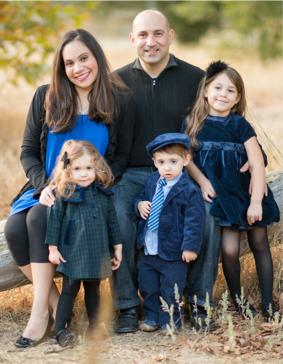 She lives with her husband Joseph Amara, and daughter Vivily and twins- Lucca and Leia in Santa Clarita California. Wendy has a BA in Sociology and MA in Urban Planning from UCLA and a Life Coaching Certificate from the Breakthrough Coaching Academy. She also facilitates workshops, staff retreats, and trainings for various companies and organizations. Joseph grew up in Pacoima CA and has a unique understanding of how to support others in staying confident in their own abilities. He has built a successful career at COSTCO for over 20 years. He has managed numerous teams and held various positions throughout the company -always serving to empower others. Joseph is a graduate of transformational trainings and has participated in various self-empowerment workshops. He has also served in leadership positions, coaching others on taking their lives to the next level! He lives with his wife, Wendy Amara in Santa Clarita, and their 3 amazing children, Vivily and Boy/Girl Twins Lucca and Leia. He is most thankful for the opportunity to serve as their father and empower them to live the life of their dreams. Sue Keith is a Leadership Trainer. When Sue Keith coaches people she sees who they could be if they lived from their potential vs. their limitations. She is relentless in her pursuit to have people acknowledge the leader that lies within and has developed an authentic way of connecting and relating to people that makes her coaching style stand out amongst the rest. Whether you are a leader of a Corporation, or a family, she is a demand that you show up to her trainings as your best self. Her passion for people and their breakthroughs in leadership is her contribution to the planet. 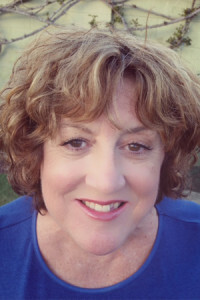 Sue Keith has been a transformational trainer for over 20 years. She has invested her time, heart and energy in working for companies across the country. She has a passion to take this work all over the world. Sue has been committed to designing and delivering leadership programs that complement a company’s culture and vision. Sue has been a guest speaker on talk radio programs, collaborator in the publishing of books and instructional manuals, and often presents at various speaking engagements for transformational companies. Sue has also mentored individuals to become facilitators to deliver leadership trainings. She has a belief that the more people that are empowered to lead others, the quicker we will get to a connected and peaceful world. Sue Keith is a graduate of UCLA with a degree in Spanish. 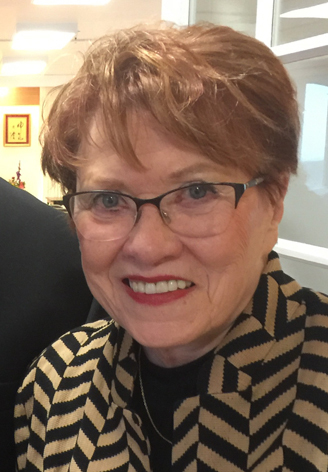 She is a member of Sigma Kappa sorority and has served on the advisory board for 2 chapters. She was the owner of a successful construction company before following her vision to train leadership full time. Sue is also a director in a health and wellness company and leads a team of people in accomplishing their health goals. Her greatest accomplishment has been her 35 year marriage to Gary and raising her 2 children, Courtney and Cameron, to be successful adults using the distinctions of leadership. Terilynn Werner has been a Human Development Trainer for over twenty five years. She is one of the Leading Experts in Team-building and Leadership Development as a Ropes Course Facilitator, and owner, serving many of the fortune 500 companies in the world. Born and raised in Redondo Beach, CA, she considers one of her greatest victories in life is her missionary work with YWAM (Youth With A Mission) in Mexico. Through YWAM, she inspired teenagers and encouraged them accept the Lord into their hearts. Terilynn parlayed her teen camp counseling experience into becoming a ropes course facilitator. She later moved to Big Bear Lake, CA in 1996, where she opened up her own ropes course company. Today, with SOAR Team, Inc. Terilynn continues to provide team building and leadership development programs throughout the country as she has for last 25+ years. She was also the founder and Principal of the only Private School in Big Bear operating for five years. Currently Terilynn continues her rigorous stand for people to be living their lives with passion and purpose; living fully and large. She is always coaching someone, somewhere in the world whether it’s at a grocery store or a gas station. Terilynn cannot help sharing her gift with people and inspiring others to realize their full potential. Kelly Sanchez is a mother of four boys 22,17,15 and 13 years of age. Starting her family young, Kelly knew it was critical to learn how to be the best parent she could be for her children. She understood statistics were against her success and needed to submerse herself in personal development. After she graduated high school she decided work and study in the Early Education Field. She worked at a teen parenting program working with teen parents and their young children teaching and mentoring them. Kelly took on personal development workshops, read books on parenting and self-development, continued her education while raising her children. She received her BA in Psychology and her MS in Educational Counseling. She currently works for the California Department of Social Services as a trainer for Community Care Licensing employees that inspect and consult facilities that care for our most vulnerable populations including foster/group home youth. 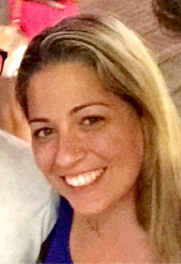 Kelly considers herself a life-long learner believes that committing to being a conscious parent is a gift to the child, parent and the world.